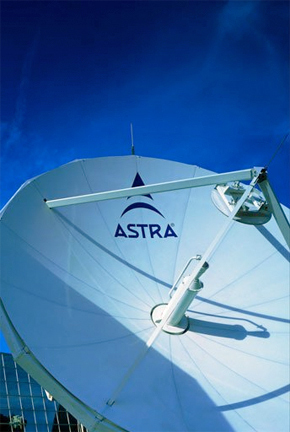 [SatNews] SES (NYSE Euronext Paris and Luxembourg Stock Exchange: SESG) will be broadcasting Europe's first free-to-air Ultra HD channel via Astra 19.2 degrees East. The German shopping channel, pearl.tv, will be produced and broadcast in native Ultra HD as of September 2015. The parent company of pearl.tv, Enstyle GmbH, will lease additional capacity to launch the new channel and will also contract SES Platform Services, a subsidiary of SES, to manage the technical operations of the Ultra HD broadcast. Pearl.tv will also continue to broadcast in SD and HD. “Years ago, pearl.tv was the first shopping channel to broadcast its program in native HD. By being the first to launch pearl.tv in Ultra HD, we are once again demonstrating our strength as technological leaders in the European media industry. We will also be producing and broadcasting pearl.tv in native Ultra HD from a brand new studio,” said Dr Michael Sichler, Managing Director of Enstyle GmbH. “SES has been at the forefront of Ultra HD developments since 2011. Our satellites can deliver a truly immersive Ultra HD experience, because satellites are the only infrastructure capable of distributing native Ultra HD in extremely high quality throughout Europe to millions of TV homes,” said Ferdinand Kayser, Chief Commercial Officer of SES.